The biggest superfood known to man is human breast milk. What comes in a close second is virgin coconut oil. This special island treat has an abundance of fatty acids and small chained, healthy saturated fats. These small chain fats are able to permeate the cell much easier and without the aid of insulin. Virgin coconut oil is a low-glycemic wonder food! More and more people are learning about the awesome diabetes-fighting, blood-sugar kicking, sweet sensation that is virgin coconut oil. This island fruit boasts some of the best blood sugar- reducing properties known to man. The secret of this magical fruit lies deep within its cell structures. The fat chains that are in coconut oil are much smaller than with those in other oils, such as olive or vegetable. These chains are able to slip right into the cell without assistance. This allows the cell to absorb energy from the foods we eat without the assistance of insulin, thus slowing down the absorption of sugar in the blood stream. Not only does this power-packed superfood help with blood sugar, but it also works to increase blood circulation in the legs and feet. This also helps diabetics with the numbness and tingling that they often suffer from as a result of their diabetes. Studies have also shown that this miracle oil helps the pancreas to become more sensitive to insulin, which allows the organ to work as it should without the aid of injected insulin. This helps to reduce insulin resistance. With the pancreas able to do its job much more effectively, this keeps the blood sugar lower and lowers the dependence on insulin and diabetes medications. Studies done by Bruce Fife, author of The Coconut Oil Miracle, show that those who have diabetes often have blood sugar spikes after some types of meals. 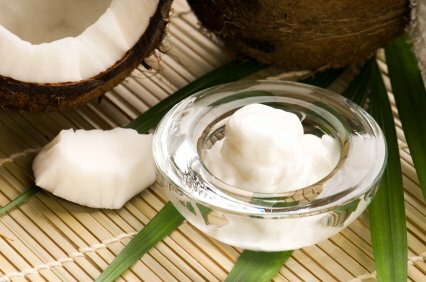 Taking just two tablespoons of virgin coconut oil lowers the blood sugar back to normal within about thirty minutes. As Mr. Fife states, there is no other herb or medication on the market that can do that! Cool ways to consume Coconut Oil! Some say virgin coconut oil is an acquired taste, but 90% end up loving the flavor very soon after they start the regime. Many diabetes patients take two tablespoons straight up. They don’t mix it with anything and just swallow it right down. If you are looking for more alternative methods to getting your sugar fighting on, then stay tuned! There are many ways that virgin coconut oil can be used in your daily cooking and eating. One of the best ways is to make a mixed non-alcoholic drink. You can mix your coconut oil with some diet lemon-lime drink that has been frozen to a slush. Throw in a slice or two of lime and drink it up! Coconut oil can be cooked with in place of your other oils. Its high sustainability and high smoke point make it perfect for stir-fry and frying meats. This makes the dish much healthier and good for your diabetes. So throw out those other oils and have a jug of virgin coconut oil on hand! Coconut oil also makes an excellent marinade for meats, chicken, fish, and vegetables. Put in some garlic and spices and let it sit in that sweet juice for hours. The good news is, it will also tenderize your cuts of meat! You can also use coconut oil in salad dressing. Just mix up your usual ingredients like vinegar and spices. Instead of using olive oil, pull out the virgin coconut oil and shake it up. Your salads will taste better than ever and everyone will want to know your little secret! Last, but not least, you can blend up coconut oil in healthy smoothies. If you use Glucerna or other diabetic shakes, this is a perfect way to blend in extra flavor and good health. You can mix it with all different flavors of shakes and smoothies and it blends in perfectly with each. Shake it, drink it, and watch your blood sugar come way down! There are some important facts that we must get straight before we dive into the world of purchasing virgin coconut oil. First of all, coconut oil is not coconut milk. That little blue can you can buy at your grocery store that says coconut milk is not going to give you the benefits that virgin coconut oil does. It would be like trying to get drunk with milk, it just isn’t going to happen! It is also important to understand that not all coconut oils are created equal! Many of these so-called oils are partially milks. The true virgin coconut oil is raw in form and taken straight from the coconut. It is not processed or mixed with any flavors or other ingredients. Buying pure virgin coconut oil is often tricky. Some specialty health food stores may carry it, but read your labels carefully! Don’t fall for fake coconut flavored oil or coconut milk. The best advice is to order the virgin coconut oil online. There is a company online that sells the purest form of virgin coconut oil. It is called Viva Labs Organic Extra Virgin Coconut Oil and is available on Amazon. If you prefer to buy from your local health store, again, just be careful from whom you buy it and make sure that you are getting the real deal. Coconut oil has a really long shelf life as long as it is stored properly. It is still important to check the expiration dates before you buy. Also, make sure that you do not buy too much. There is too much of a good thing sometimes! Having ten cases of coconut oil is not a good thing. You will end up not using it before it loses its freshness. You can buy ahead, but don’t overdo it. Learn the amounts you will typically use each day to keep just enough supply on hand so that you aren’t panicking, waiting on your next shipment to come in. Add some virgin coconut oil to your diet and kick diabetes off the island!